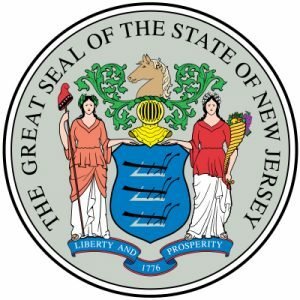 NJ proposes new sports wagering limit at 5 Million Dollars! As of now, no state has ever proposed or set a sports wagering limit, until now that is. But, according to the NJ Division of Gaming Enforcement (DGE), things could soon change since they’re considering to put a $5 Million betting cap in place. We understand that it’s a pretty generous amount, so then what’s the point? Well, that’s exactly what we wanted to know too. So after doing some thorough research, this is what we found. Although there’s no record of anybody ever placing a $5 Million sports wager in NJ, the DGE is still playing it cautious. Also, there’s no record of anyone ever placing a bet that large in the US. So what’s the big deal? Well, sports betting in NJ is booming right now. In fact, sportsbooks handled nearly $400 Million in the last six months! On that note, anything is likely to happen. So to protect the integrity of sports betting, DGE believes this is the right move. Not to mention, the higher the wager, the higher the chances are for some shady dealings to go on. Of course, that’s not always the case. But then again, just think back to the Phil Ivey situation, the Borgata is still trying to recover their $10 Million! According to the DGE, they’re now seeking comments from the public in response to the proposed $5 Million bet ceiling. Also, they’re giving everybody until March 8th, 2019 to submit a written comment or suggestion. Plus, the DGE announced that new measures should go into effect sometime later this year. On that note, stay tuned for more details on the plan. We’re sure the DGE will get the limit set. After all, NJ has some of the toughest regulations in the US, so this plan really shouldn’t come as a big surprise. Although we agree with regulators, protecting the integrity of sports betting is a top priority in NJ.